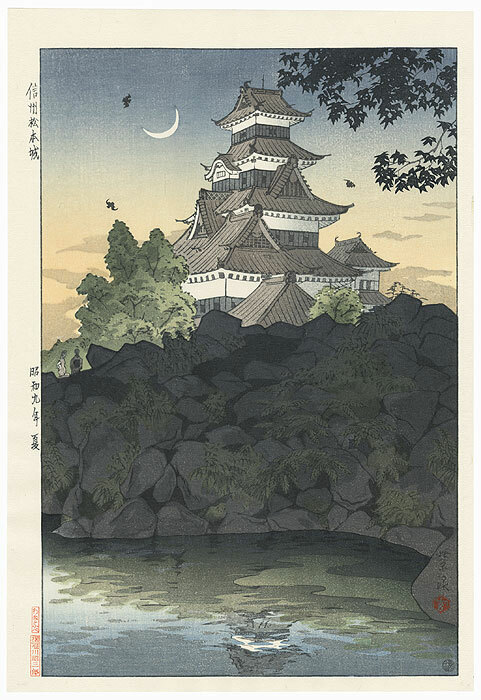 Comments - Beautiful landscape of the impressive Matsumoto Castle rising above a rocky hillside. 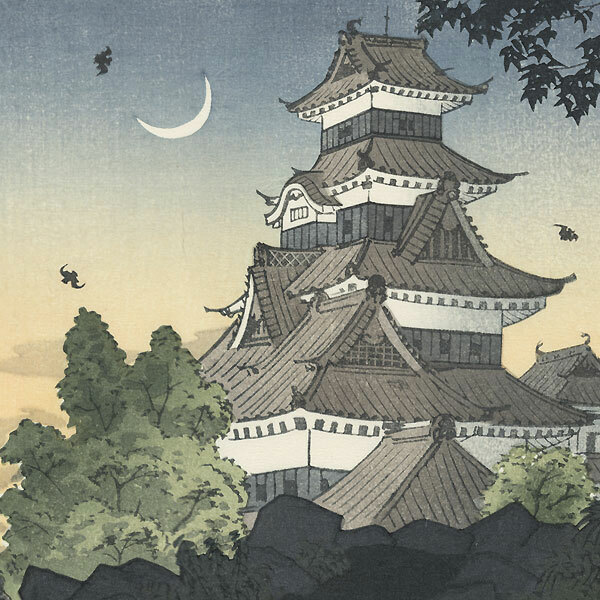 A few bats flit through the air in the early morning as the sun rises, filling the sky with a luminous glow, the pale crescent moon still visible. A lovely image, beautifully shaded.